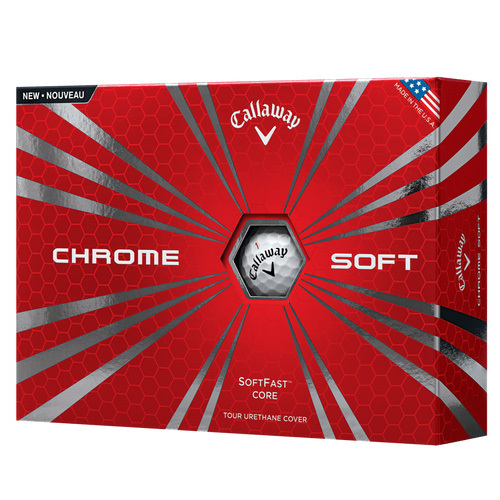 The Callaway Chrome Soft Golf Ball is a new low compression, 3 piece, urethane cover ball which will allow amateur golfers to achieve ball compression typically only seen by stronger tour players. The low, 65 compression will provide a very soft feel. With a SoftFast Core, the Callaway Chrome Soft provides the best of both worlds, super soft feel along with incredible distance thanks to its high COR core. The Callaway Chrom Soft will be available in White and Yellow. Click Here to learn more about the Callaway Chrome Soft Golf Balls.